Mercedes is bringing a whole lot of new metal to the New York Auto Show this year – some of which we've already seen unveiled online. 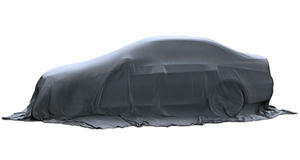 But in announcing its full slate for the show, the German automaker revealed one or two that we didn't explicitly know would be there, as much as we've been expecting their imminent arrival. At the Javitz Center next week, Mercedes-AMG will unveil the performance versions of both the GLC and GLC Coupe crossovers. Both were recently unveiled by Mercedes-Benz in facelifted form, and will be on hand alongside their performance counterparts. The only details that Daimler revealed in the announcement is that they'll have unique, AMG-spec grilles, headlamps, and interior upgrades. We can make educated guesses at the rest, but we'll have to wait until their debut to find out exactly how their specification sheets will read. 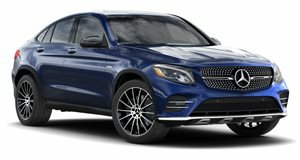 The outgoing, pre-update GLC and GLC Coupe have each been offered in both AMG 43 and 63 specs – the former with a 3.0-liter twin-turbo V6 good for 362 horsepower, and the latter with a 4.0-liter twin-turbo V8 rated at 469 hp (or 503 hp in the GLC 63 S Coupe). We might expect both to be offered in the updated models, potentially to be unveiled in Manhattan. But the folks in Affalterbach could surprise us and roll out a 53-spec version instead, with the mild-hybrid straight-six setup offered in the likes of the E-Class, GLE, CLS, and GT 4-Door Coupe. Whichever version we see, it'll be displayed alongside the standard GLC and GLC Coupe, the A35 sedan and CLA35 four-door coupe, and the new GLS flagship crossover. Suffice it to say, then, that there'll be plenty of new vehicles displaying the Silver Star in the Big Apple next week.